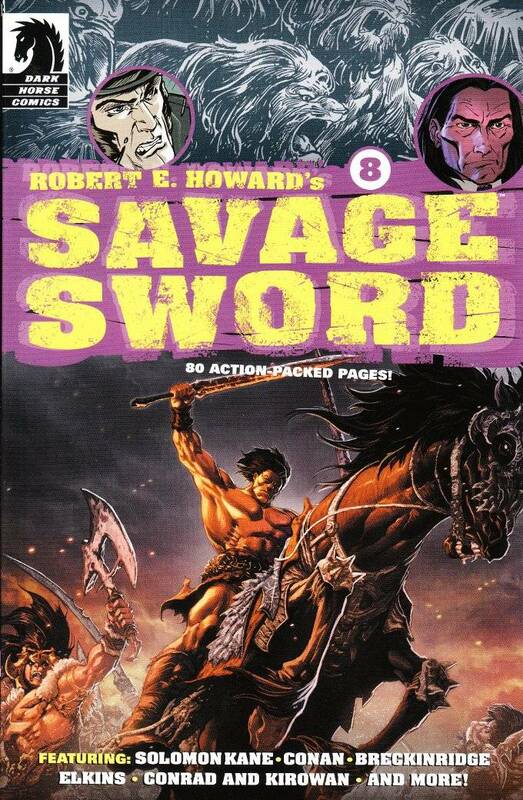 Somehow, I've missed Robert E. Howard's Savage Sword #7. Thankfully, that didn't matter too much. Only one of the stories in this issue - Breckinridge Elkins: Mountain Man - is a continuation from that issue and it turns out the first part of the adaptation is available to read elsewhere on-line. I'm not much for Westerns, but Howard's natural humor comes through in the script and artwork of adapter Gary Chaloner and I found it to be an enjoyable read. The rest of the issue is of similar high quality. Dan Jolley spins a Solomon Kane tale in rhyming verse, with epic artwork by John Nadeau. John Arcudi (of The Mask fame) delivers a humorous tale of daily life in Hyboria and the dangers of accusing a small-town blacksmith of shoddy workmanship. The artwork of Frank Bianacarelli depicts a Cimmeria well in line with Howard's descriptions of a grey and dismal land. 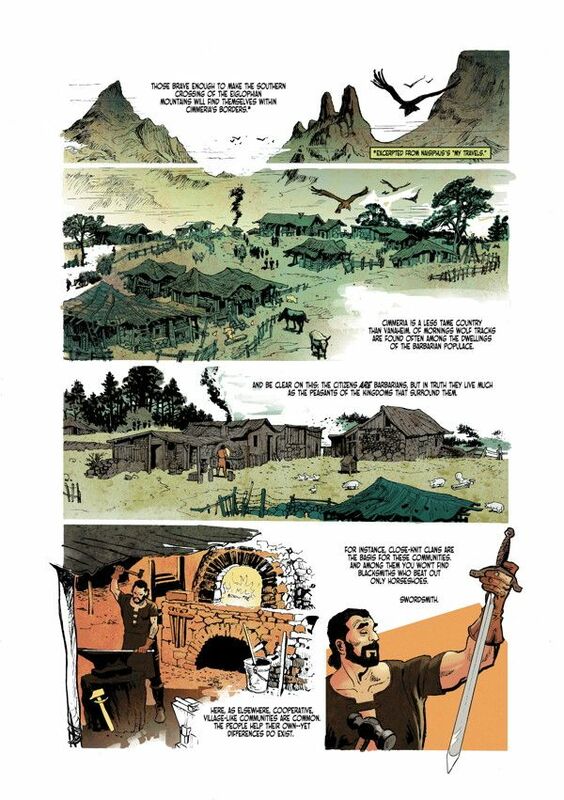 The only real slow spot in the issue is the first part of Conrad and Kirowan: A Book And Its Cover. Based on characters Howard created for a series of supernatural detective stories that owe much to his pen-pal H.P. Lovecraft, this tale is a good read that suffers from being included alongside such high-action adventures as the ones described above. Academics sitting around a study discussing dark magic is not quite so exciting as the action contained elsewhere in this issue. Still, the artwork by Alberto Alburquerqeue is skillfully done and the story is not bad at all - just incongruous to the rest of the book. Conan The Barbarian fans will want to pick this issue up for the reprint of the Roy Thomas and John Buscema's adaption of the classic Conan story The Tower of The Elephant. This reprint features colorization by artist Moose Baumann and, for once, colorization has actually improved upon a classic! If you haven't read the original story, you're in for a treat and if you have... well, this reprint makes it seem like you're reading it for the first time.